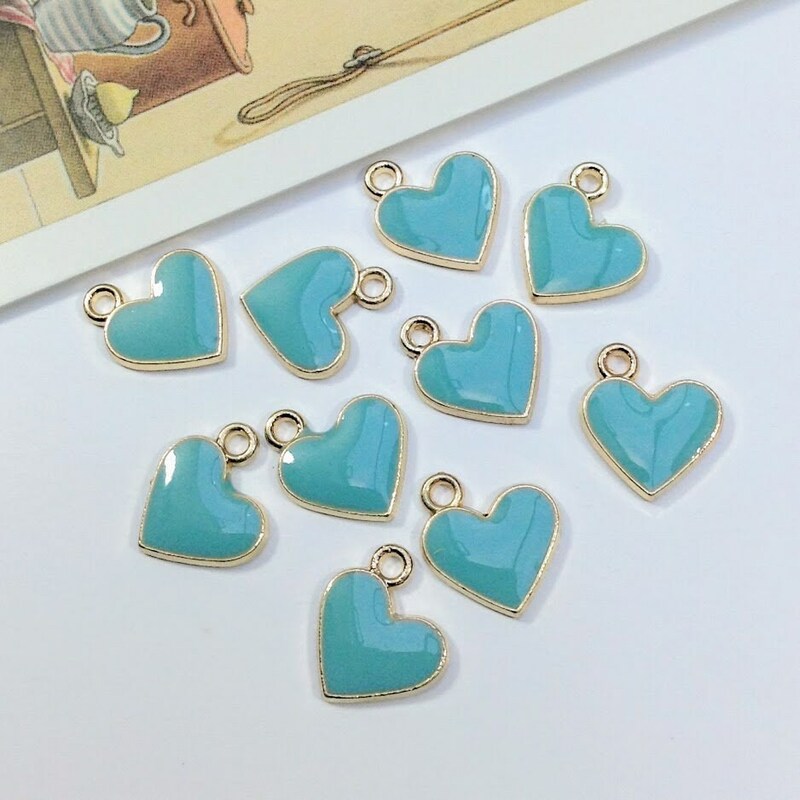 10 small sky blue enamelled heart charms. 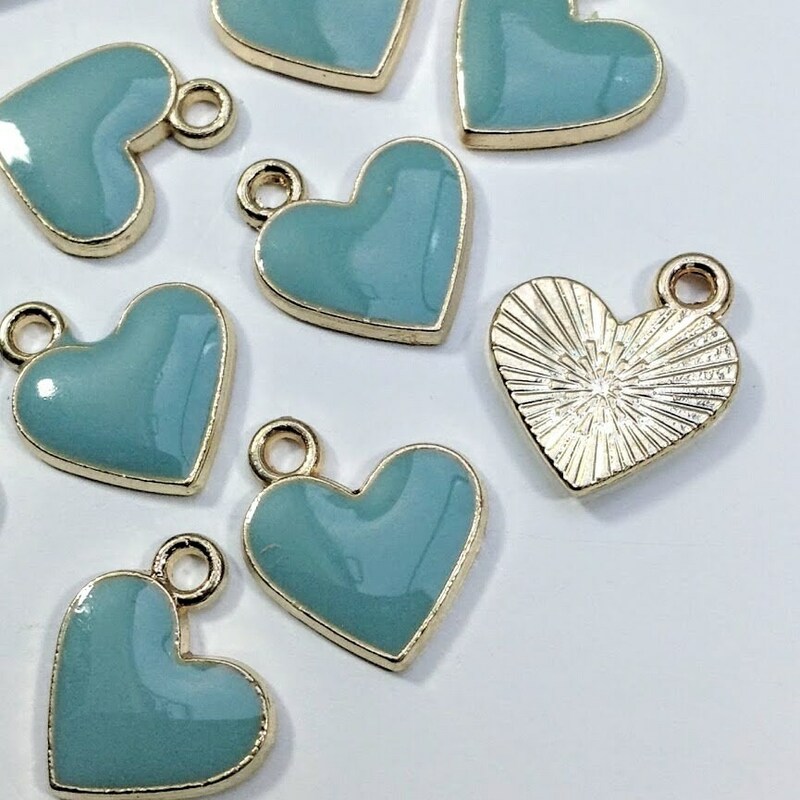 These gold tone hearts have a blue enamelled front and plain, flat back. 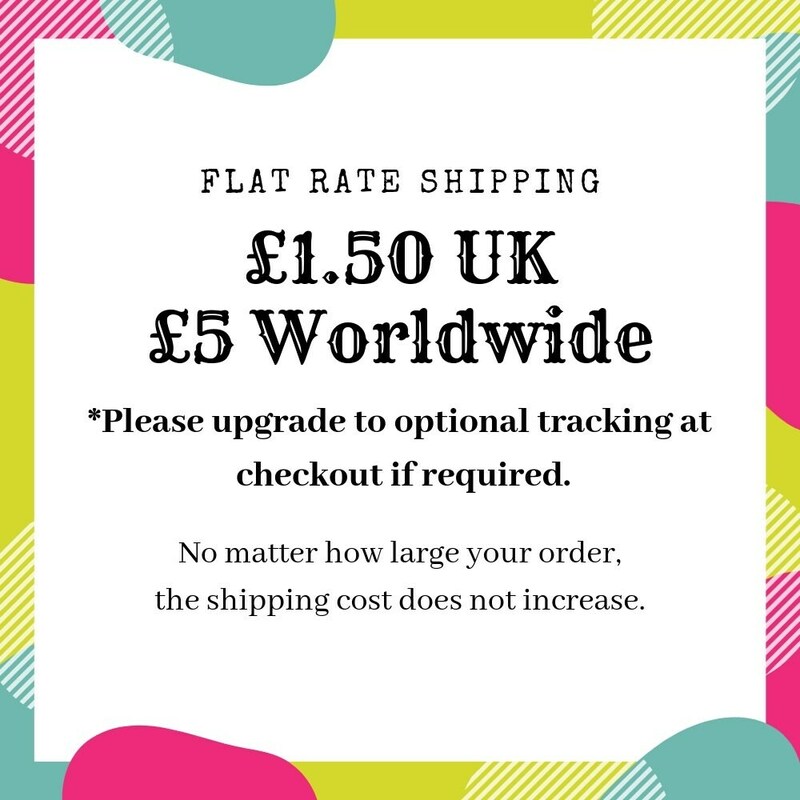 Perfect for costume jewellery making and adding to party invitations, baby shower favors and wedding favours etc. The hole is 1.5mm diameter. 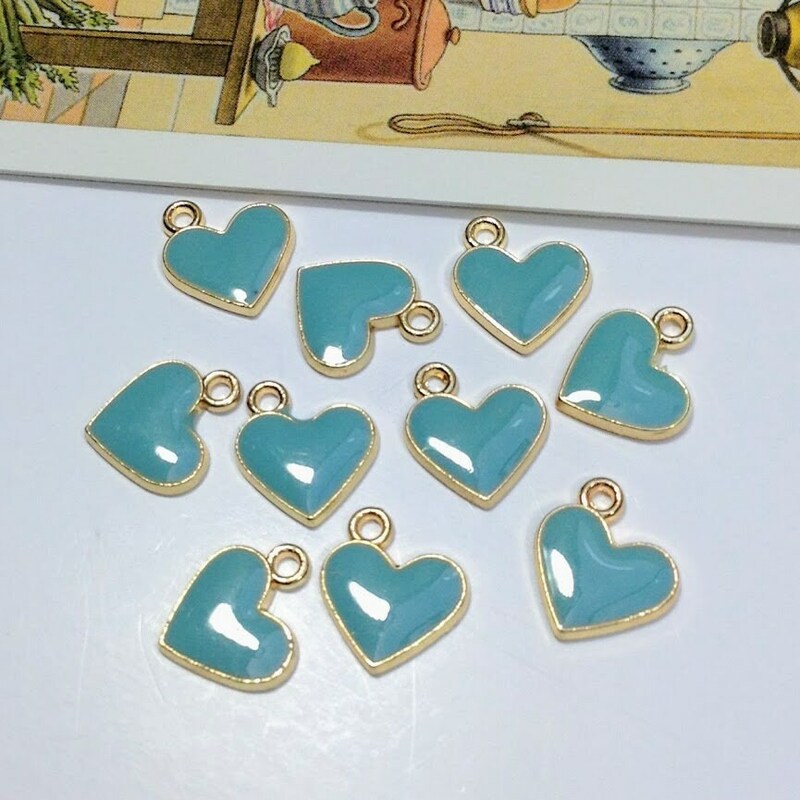 The hanging loop is one side (not the centre) so the heart hangs at a slant.